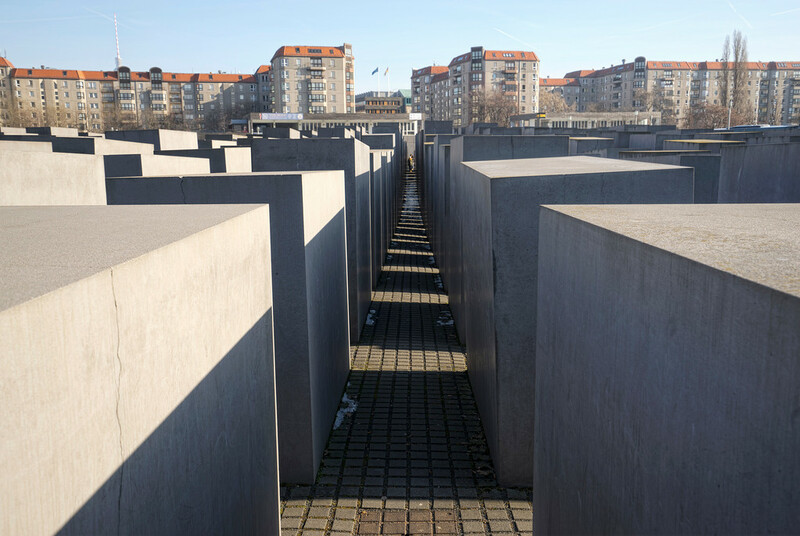 The Memorial to the Murdered Jews of Europe is near the Brandenburg Gate, in the center of Berlin. It’s made up of rectangular concrete columns of varying height set on undulating ground. I tried to take a photo to show what’s it like walking through them. 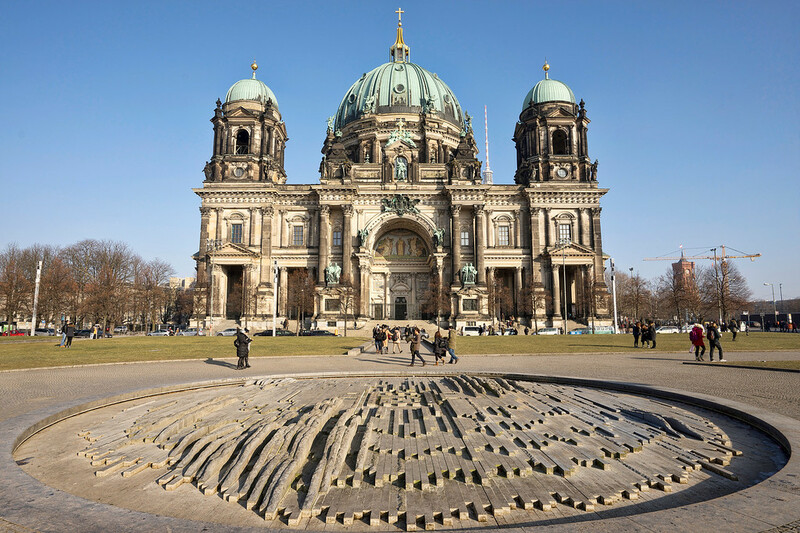 Here’s a view of the Berlin Cathedral from the outside. It’s hard to tell from the picture just how cold it was when I took this photo! My second stop in Berlin, in my attempt to stay out of the cold was the Altes Museum containing Greek, Roman and Etrsucan antiquities. 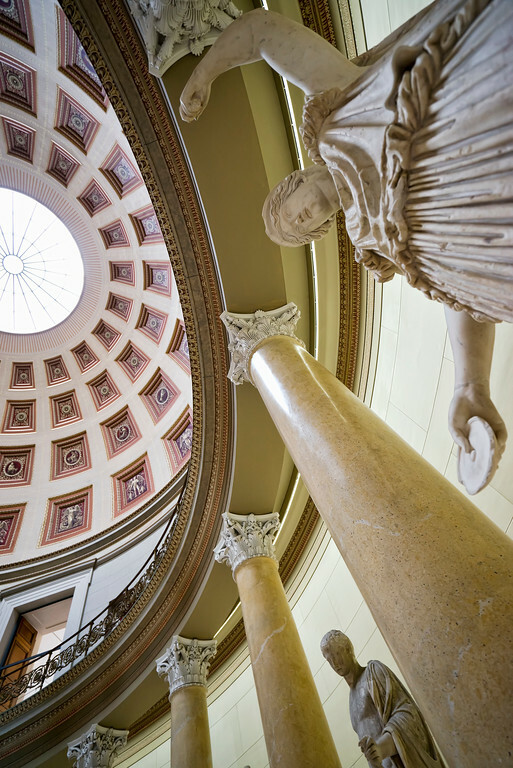 The central hall of the building is a stunning round dome surrounded by statues. I took the below photo in an attempt to make a panorama of the whole room, but that hasn’t worked out. I liked this photo as a stand alone image so thought I’d share it. I’m in Berlin and it’s really cold so am spending most of my time inside. Yesterday I took a hop on hop off tour bus and got as far as museum island. 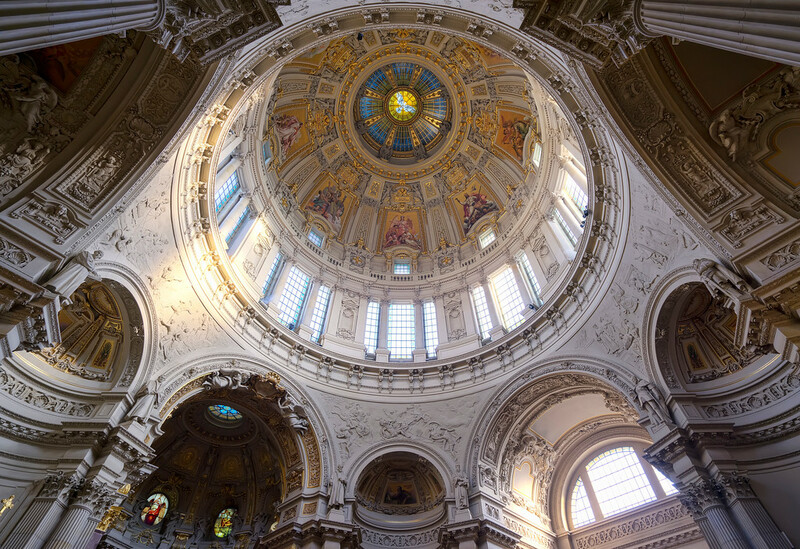 My first stop was the Berlin Cathedral which I ducked into really to warm up but quickly discovered it’s incredible. I spent about an hour there before moving onto the Altes Museum and then the Neues Museum. I wanted to go to the Pergmon museum but the line was too long and I didn’t want to stand still that long outside!